The beautiful and natural hammock hanging solution for your home! 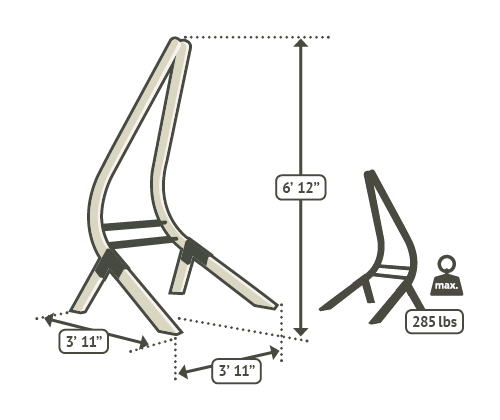 Weatherproof hammock chair stand made of FSC-certified wood for LA SIESTA basic hammock chairs. This unique wooden frame for hanging chairs is a stylish & sophisticated statement of relaxation culture. Also a real gem indoors! Our unique arc design makes the stand especially stable. The strap system with snap hook allows you to precisely adjust the height until it's just right for hours of relaxation. Practical loop system with karabiner.